The official start of spring is almost here so if you plan on putting your home on the market, you have lots to do and little time. Thankfully, we have some quick and easy tips to whip your home into shape just in time to attract all those spring homebuyers. There’s a reason that spring cleaning is a tradition. Winter weather and hibernating people take a toll on our homes. From the ravages of the elements to the exterior, to the dry air and tracked-in debris inside the home, the first step to take is to get rid of all of winter’s traces. Rent a pressure washer to clean the siding, and, most especially, the garage door. A simple solution of dishwashing soap and water in the sprayer and some all-purpose terry cloth towels to wipe away the grime are all you need. Don’t be too quick to return that rented pressure washer yet, because it’s the ideal tool to use (along with concrete cleaner from the local home improvement store) to get at all those stains on the garage floor. You do plan on cleaning and organizing the garage, don’t you? Even if you can’t afford to repaint the exterior of the home, if the trim and front door are in bad shape, a quick coat of paint on both will do wonders for the home’s curb appeal. Finally, tackle the landscaping. Winter is truly rough on our yards, so get to work clearing out winter debris and ensuring the lawn has what it needs to be as healthy as possible. Consider planting some colorful annual flowers to catch the buyers’ eyes as they drive up to the curb. We agree that deep cleaning isn’t fun, it’s hard work and quite time consuming. But, when you hope to have the spotlight focused squarely on your home and not the competition, deep cleaning is a must. If you don’t have the time to do it yourself, consider hiring a cleaning crew. It’s that important. If you plan on painting the interior of the home, do so before the deep clean. If you’ve ever toured a model home you no doubt noticed that it appeared that people actually lived in the home. Brilliant interior designers know how to appeal to a homebuyer’s emotions and that staging a home for sale works. Consider hiring a professional home stager or do it yourself with easy and inexpensive tips you can find online (try Pinterest). If the repairs remedy a cosmetic defect (torn window screens, rips or cracks in floor covering, dripping faucets) then, yes, make them. Larger repairs also “depend.” Lenders are hesitant to loan money (and insurers to insure) if a home has issues relating to the safety of the home. Buyers will no doubt request repairs of significant issues relating to the enjoyment and comfort of the home. 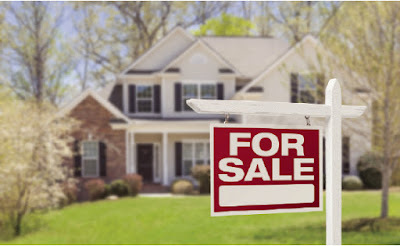 These issues will come to light when the buyer has the home professionally inspected and the need to renegotiate the contract to include repairs will slow down the sale. Consider having the home professionally inspected and use the report as a “honey do” list before placing the home up for sale. 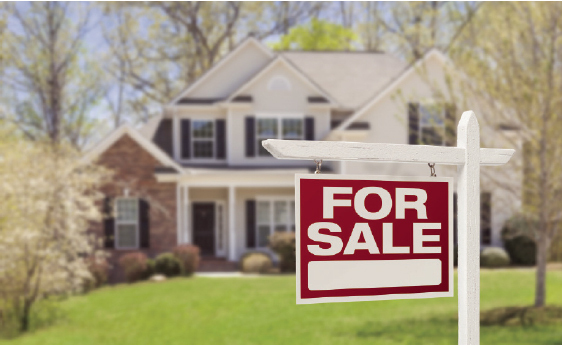 It pays to be prepared before putting your home on the spring real estate market. Follow our tips, and you’ll hit the ground running and be steps ahead of the competition.